Motel 6 agreed to pay $12 million to settle a lawsuit that accused several Washington state locations of sharing personal guest information with U.S. immigration officials. The budget motel operator illegally shared the personal information of about 80,000 customers for more than two years, resulting in a “targeted” ICE investigation into guests with Latino-sounding names, the Washington state attorney general’s office announced Thursday. The office said operators at seven Washington locations had voluntarily shared their guest lists with ICE agents between February 2015 and September 2017, without requiring a warrant. (Julie Dermansky/Corbis via Getty Images) Soap on sink at a Motel 6, a low cost budget hotel chain located in cities across the United States. The unlawful disclosures resulted in “ICE’s targeted investigation of many guests with Latino-sounding names” and caused some to be separated from their families, according to the attorney general’s office. Some guests were approached by ICE agents and detained at Motel 6 properties, while others were detained a few days after their hotel stay, according to the office. One man was taken into custody at a Seattle location, where he was staying for one to wrap Christmas presents for his four children, officials said. Motel 6, which has more than 1,400 U.S. locations, admitted that at least six of its corporate locations had shared personal guest information with ICE, according to the office. Investigators later discovered that a seventh location had shared guest lists with ICE. The personal information released included customers’ names, driver’s license numbers, passport/green card/other ID numbers, room numbers, guest identification numbers, dates of birth and license plate numbers. 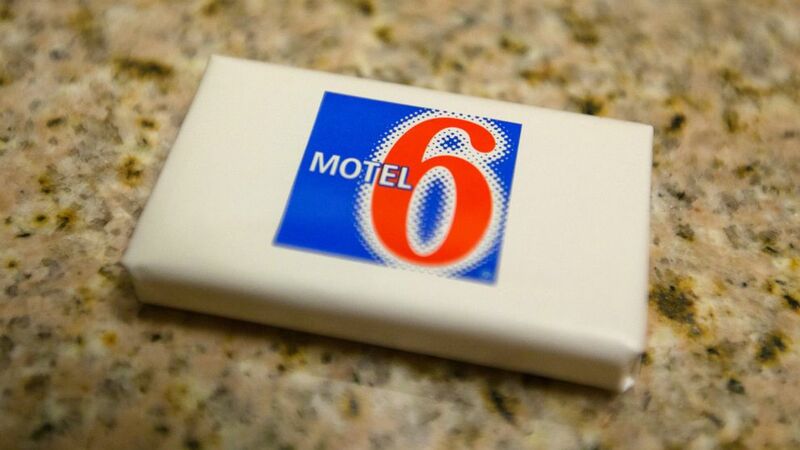 Motel 6 and its parent company, G6 Hospitality, acknowledged the settlement in a statement to ABC News late Sunday. The company said it implemented a system to ensure corporate oversight and compliance in cases where law enforcement requests are made. ABC News’ Christopher Donato contributed to this report.